It’s no secret that online reviews are important for your business, but do you know how much they’re really worth? 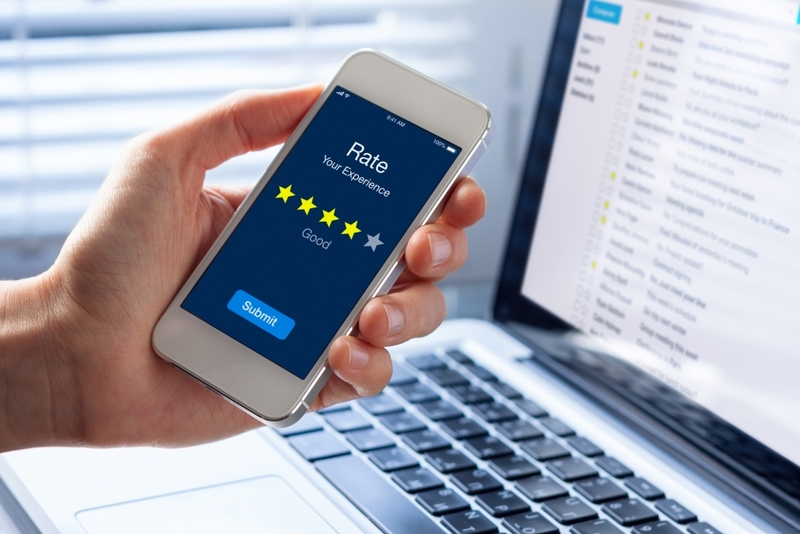 Customer reviews have tremendous power and and worth: A Bright Local survey found a whopping 97% of consumers regularly read reviews before choosing to work with a business or buy a product. And almost all of those consumers trust online reviews, giving them as much weight as a personal recommendation from someone they actually know! 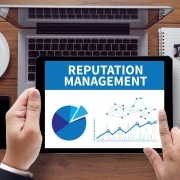 While a Trip Advisor study showed 97% of business owners say Online Reputation Management is important, only 42% claim that they monitor their online reputation daily. Retailers that don’t provide customer feedback could be damaging consumer trust as the research also found 30% of shoppers are skeptical of brands that fail to share product reviews from other customers, as it leads them to believe that they could have something to hide. What Review Platforms Perform Best? Google Reviews: With way over 1 billion searches on Google every single day, this is where you want to be. When a customer searches for a specific business or product, Google Reviews is where you’ll most likely show up first. Without even typing in “reviews”, they’re automatically displayed on the right-hand column for all to see. As such, reviews on Google make customers 38% more likely to visit your location, and 29% more likely to consider buying from you. Facebook Reviews: The same report shows 74% of consumers report using Facebook to find more information about businesses, and that includes reading reviews. 80% of consumers report being more likely to trust a business if they have positive reviews on Facebook. Yelp Reviews: Even though Google is surpassing Yelp on the review-side of things, Yelp is still a worthy component and a great place for your business to seek reviews. Yelp has contributed over 100 million reviews of almost every type of local business, from restaurants, boutiques and salons to dentists, mechanics, plumbers and more. A single star improvement in your rating on Yelp can translate to up to 9% increase in your revenue, and 98% of Yelp users report making a purchase from a business they found on the platform. It happens to most companies at some point, but a negative review is not the end of the world. According to a study by Harvard Business Review, even terrible publicity can bolster the bottom line. It depends on whether the potential consumers are already aware of the product. When you display the bad reviews, there’s a much better chance people will believe the positive reviews. Which means that all the good parts highlighted in the positive reviews will have an impact on their decisions. Finally, how you respond to negative reviews could influence the buying decision of the customer. In many cases, you can turn a negative review into something positive by responding with a solution. It will give potential customers the comfort of knowing that you will help them, even if they have a bad experience. Therefore, you may be able to turn an unhappy customer into a loyal advocate. Customer reviews have enormous potential to turn a passive shopper into a lifelong, loyal buyer. Encourage customers to write online reviews via links on your website, and be sure to regularly read your online reviews and respond promptly to any that are critical. Do you need help managing your online reputation? BARE International’s Online Reputation Management services strengthen relationships with your customers and monitor feedback, allowing the resolution of issues quickly for unhappy customers. With the help of our Online Reputation Management platform, you’ll gain a seamless view of how different outlets in your business work together to provide your customer’s experience. BARE International, the most trusted name in customer experience research brings... Why Ignoring Your Online Reputation Could be Fatal.